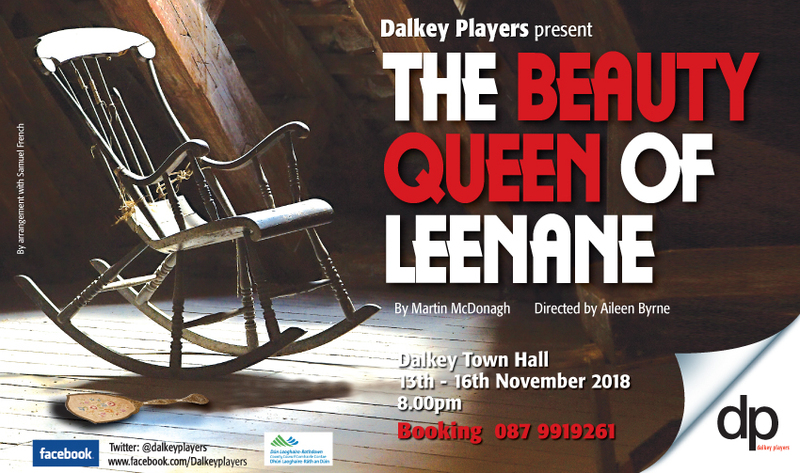 The Beauty Queen of Leenane runs from Tuesday 13th to Friday 16th November in Dalkey Town Hall. Mag Folan lives with her daughter Maureen on a hillside near Leenane in west Connemara. ‘Do I not wish? Sometimes I dream…. of anything other than this’, says Maureen, lonely and trapped by her manipulative mother. Their only visitors are neighbours Ray Dooley and his brother Pato who has emigrated to London. When Mag interferes with Maureen’s first, and perhaps only, chance of romance and happiness, a chain of horrific and tragically funny events is set in motion. On this remote hillside in Connemara everyone strives to hold on to what they believe to be their protected place. But when this place is threatened, to what lengths will they go to protect their fading dreams? The Beauty Queen of Leenane, directed by Aileen Byrne, is a pitch-black tale of love and leaving, desire and despair, reality and imagination.